FROM WHMI 93.5 FM: A ‘Do Not Eat’ fish advisory has been expanded for the Huron River, now stretching all the way to Lake Erie. NOAA Wireless Emergency Alerts - Weather warnings on the go - Get Emergency Alerts on your smart phone or digital device. Latest NOAA Advanced Hydrologic Prediction Service Graphs on river stages and crest predictions. Latest USGS Streamflow Gage Graphs for the Streamgage Station at Hamburg Road on the Huron River. Latest USGS Streamflow Gage Graphs for the Streamgage Station at John Flook Dam at Dexter. Latest USGS State of Michigan "Water Watch" - Find real-time streamflow data for all Michigan stream gauges. Current NWS preciptation amounts/gage locations.. 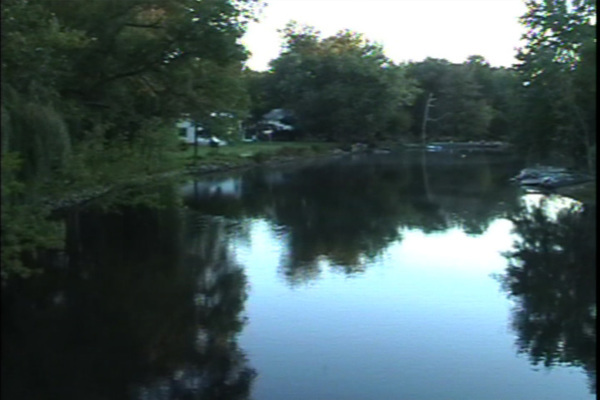 Connected by the Huron River are the "Chain-of-Lakes" which pass through the Township and are among the most valuable natural resources of the community. In combination, the Huron River, the lakes and rolling hills create picturesque views. Hamburg Township has over 30 named lakes and a number of creeks, most of which are tributary to the Huron River and interconnect with the many lakes. There are several major streams in the Township that flow from the north down to the Huron River. These major creeks are Hay Creek, Chilson Creek, South Ore Creek and Horseshoe Creek. Floodplains comprise a large portion of the immediate banks of the Huron River, with some floodway areas near the north bend of the River near the Buck Lake Subdivision. Additional floodway areas are located just south of the Whitewood Lake area. South Ore Creek, Hall Creek, Oneida Lake, Bass Lake, Zukey Lake and Hay Creek are some of the water bodies connected to and affected by the River's flows. Hamburg Township experienced a number of high water events. The National Weather Service records track recent events. The Huron River is served by a USGS Gaging Station #04172000 located at the Huron River Bridge over Hamburg Road near Van Antwerp Road. The location of this gaging station is Lat 42 degrees 27 minutes 55 seconds, longitude 83 degrees 48 minutes 00 seconds, in Section 24 of Hamburg Township. This area drains 308 square miles. Datum of the gage is 850.00 feet above sea level. Real-time gaging data on water flow rates and water levels is available for viewing over the Internet from the USGS website at http://waterdata.usgs.gov/nwis/uv?site_no=04172000. Gage Station records have been collected since the early to mid-1950's.